Garage door installation is a tricky process. Not only should it be attempted by professionals, but you should only trust a service that has years of experience with installations. One wrong step during installation can lead to damages that might spiral out of control. 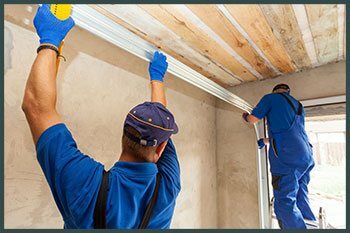 That is why it important call a trusted and experienced team of experts like those at Two Guys Garage Doors, who have handled countless installations in the Portland, OR area. 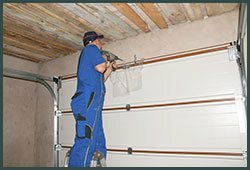 You can provide a pre – decided garage door to install or choose from a wide variety of doors that we have at our disposal. With Two Guys Garage Doors you only get the best quality as we only buy doors and materials from the largest and most trusted brands and manufacturers from around the world. Having a wide range of garage doors to choose from gives our customers the option to choose the garage door that best suits their needs and budget. Step 1: When you call in with a garage door new installation need, we first understand your requirement and talk about the preferred features, appearance, and budget. Step 2: Afterward, our team will make a visit to your home or business to assess the dimensions of the door to be fitted and put together a final price estimate, based on the materials and the type of door chosen. Step 3: Our expert craftsmen will either procure a premade door or custom-create one depending upon your specifications. Step 4: Final step involves the precise installation of the door and is followed by checks to ensure normalized operation. This process is not the end. You will receive maintenance and timely repairs from our end. Call Two Guys Garage Doors now and we will install a garage door at your property in no time.